Sekai Project has announced that the three-part visual novel series from Spice and Wolf writer Isuna Hasekura World End Economica is coming to the PS Vita and PS4 in 2017. 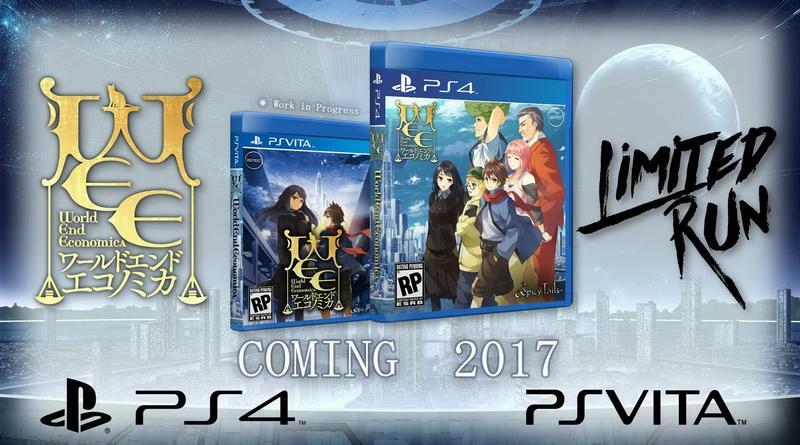 The PS Vita and PS4 release of World End Economica will feature all three chapters combined into one package and will be made available digitally on PSN and physically (in limited quantities) via a partnership between Sekai Project and Limited Run Games. Both physical versions will feature reversible covers and come a pre-order bonus gift that will be revealed closer to release. Supporters of the World End Economica Kickstarter campaign will have early access to pre-orders. Set in the far future on the moon, a mere 16 years after humans have begun to colonize it, a young boy named Haru has been chasing his wildest dream – a dream to stand where no man has stood before. But in order to do so he needs capital, a ludicrous amount of capital! What better place to seek out and raise that capital than the stock market? However, there are two key rules that govern the stock market: The first rule: Never take a loss. The second rule: Never forget the first. Only those who follow these rules are able to obtain enormous wealth….